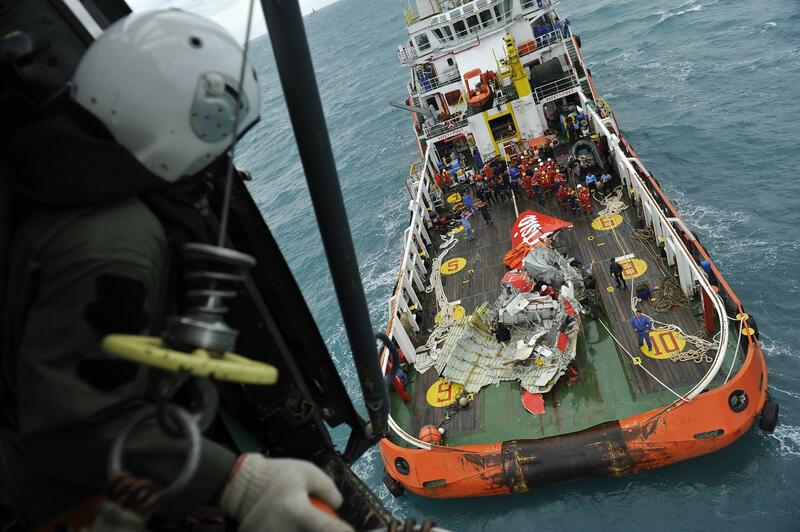 The main fuselage of missing AirAsia flight QZ8501 may have been located in the Java Sea, Indonesian search teams say. An object resembling the plane’s body was found in a sonar scan of the search area in the Java Sea, an official said. Officials hope the “black box” flight recorders will be near the object – close to where the tail was found. AirAsia flight QZ8501, carrying 162 people, was flying from Surabaya in Indonesia to Singapore when it vanished from radar in bad weather on December 28. First Marshal S.B. Supriyadi, operations coordinator for Indonesia’s search and rescue agency, said the sonar scan had revealed an object on the sea floor that measured 33ft by 13ft by 8ft. “They suspect it is the body of the plane. There is a big possibility that the black box is near the body of the plane,” he told Reuters news agency. A team of divers had been sent to investigate, he added, but poor weather conditions have once again been hampering the search efforts. “If it is the body of the plane then we will first evacuate the victims. Secondly we will search for the black box,” S.B. Supriyadi said. Search teams have also been hearing pings, believed to be from the aircraft’s black boxes, near where the tail of the Airbus A320-200 aircraft tail was retrieved from on January 10. Rescue workers have been pulling bodies and wreckage from the sea but progress has been slow. Forty-eight bodies have been retrieved so far. The cause of the crash is unknown but the plane had encountered bad weather and asked for a flight path change before communication was lost. The “black box” flight data recorders are usually housed inside the rear part of the plane. They are designed to survive a crash and being submerged in water, and contain underwater locator beacons which emit the so-called “pings” for at least 30 days.